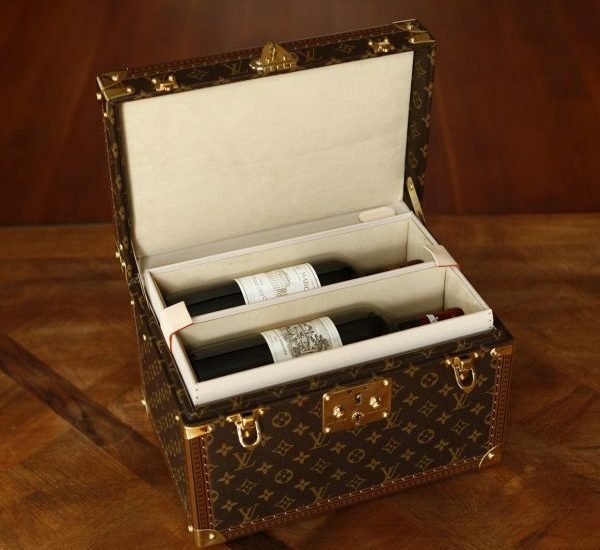 For one French wine house, when traveling with valuable, vintage wines there is no wrapping bottles in socks and sweaters, cushioning them with towels and nestling them in suitcases. 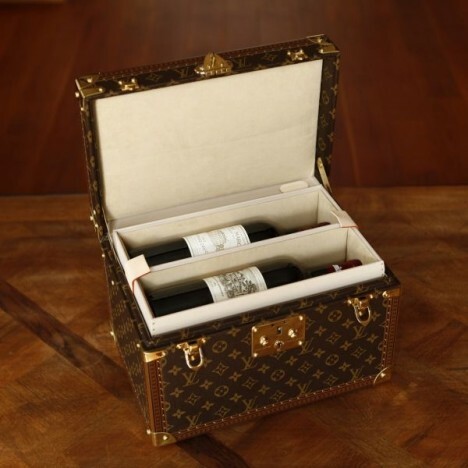 For Cordier Mestrezat Grands Crus, prized wines travel in style, laid snugly in a custom-made Louis Vuitton carrying case that can house four bottles. 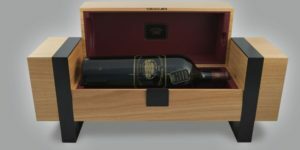 The specially commissioned wine travel case was showcased at Vinexpo in Bordeaux this week, to mark the French winemaker’s 125th anniversary. 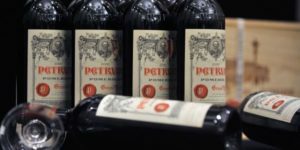 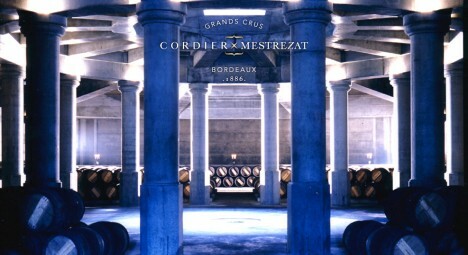 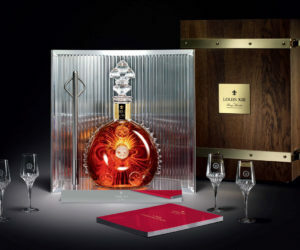 The bottles deemed worthy enough to travel first class were part of the Grands Crus Classés, four 2008 vintages of Chateau Lafite Rothschild, Chateau Margaux, Chateau Mouton Rothschild and Chateau Haut-Brion.